I was about to put some weed suppressing membrane down over the bare soil inside my newly installed greenhouse and came across some tiny frogs/toads. All were a dark brown colour, blended perfectly with the soil and no more than an inch in length. Since the greenhouse is raised on a 4 inch platform all the way around I am at a lose to imagine something so tiny jumping in whilst the door was left open so can only conclude that they burrow under and in. Would that be a possibility? I also laid chipped bark around the back and sides of the greenhouse as a temporary path around the structure. Might this have been where these creatures came from? I worry that the poor wee things won't be able to get out or find food. I know nothing about these critters and may of course be over reacting. I'd hate to be responsible for their demise! They sound to me like baby toads from your description - they look like tiny animated broad bean seeds. Baby toads, like their parents crawl rather than hop. Mine move into the greenhouse to overwinter and I have a broken half plant pot that I leave in there for them to hide under. Some also bury themselves in the border near the garage. They will find their own way in and out of places. Frogs and toads LOVE greenhouses as they are warm and humid - perfect amphibian conditions. If they got in they can get out. Small froglets will find the smallest gaps to get into a greenhouse and most greenhouses have gaps to allow for ventilation. 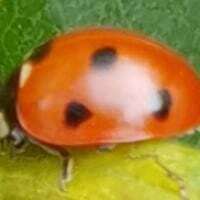 Ladybird4 is right - they will probably want to overwinter in your greenhouse where they will feast on spiders, slugs and any other unsuspecting insects that find their way into your GH. If you want to make them even more at home, try leaving a bucket of water in the GH over the winter to keep the humidity up, and a tray of soil and leaf litter for them to forage / hide in - they will love you for it. Remember, if they leap, they're frogs, if they crawl, they're toads. Thanks both of you for your comments. All were most helpful and some of course I should have realised...doh! 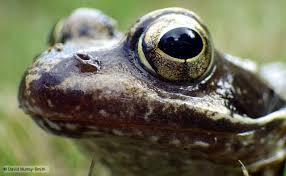 I will endeavour to make the space as amphibian friendly as possible. My garden needs friends like these!